Pros: Online collaboration and free sharing, extensive customization options, automatic book maker (AutoMix), easy, intuitive interface. Cons: Shipping is a little high compared to other sites. 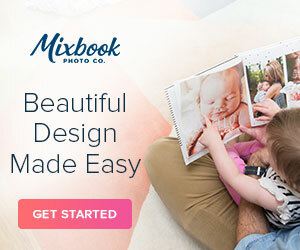 Mixbook is an online photo service for creating and sharing personalized photo books. What I love most about Mixbook is all of the customization options they offer. You can customize every element of the page if you want. In fact, I don't know of a company that offers more choices when it comes to personalizing your design, plus the online photo book editor is very easy to use. And for those of us who just don't have the time or if you feel you aren't creative enough, there is an excellent selection of ready-made themes and templates and you just have to drop in your photos. Mixbook excels at customization. For instance there are 19 layouts for a 1-photo page, with and without text -- and that's not counting the numerous backgrounds and embellishments you can add. There are 140+ themes and 200+ layouts or you can personalize with your own template. You can change your theme at any time. Among the unique features is the ability to adjust transparency of photos and create two-page spreads. You can move, resize, add or delete photo frames. Scrapbookers will appreciate the 190+ stickers and shapes, and you can upload your own embellishments. You can add reflections and shadows to photos and frame your photos in custom colors. There are 24 fonts available and a color wheel and custom color matcher with an eyedropper tool, so you can customize colors to your heart's content. New Smart Guides all you to center and align elements as you place them on the page. Just click and drag an element, and the guides will show up automatically. There are numerous themes that create a scrapbook effect, in addition to the array of stickers and shapes beloved by scrapbookers. You can also choose to design scrapbook pages in other software then print them as photo books. Users can upload finished scrapbook pages as jpegs to the Mixbook Editor as a background, and then apply to the page as a background. As mentioned, you can also import your own embellishments and use shapes like ovals, stars, hearts etc. to frame your photos and resize and move everything at will. Baby themes: 10 themes including Baby's First Year, Modern Wedding and Planes, Trains and Automobiles for kids as well as a Pregnancy Journal. Each has 10-13 backgrounds and over 30 stickers. Wedding - more than a dozen themes from Garden Wedding to Shabby Chic, VIntage, Guest Book and others. Seasonal - summer, winter themes etc. Holiday - Easter, Mother's Day, Fathers Day, Christmas, Thanksgiving, Halloween, Valentine\'s Day etc. Family - There are some very nice layouts for Family Recipes books, Family History, Military Heroes and our furry four-legged friends. Education - school, sorority and fraternity life and others. Unlike some other photo book publishers, Mixbook does not make enhancements to your photos. They will not be auto corrected for color, lighting, etc. 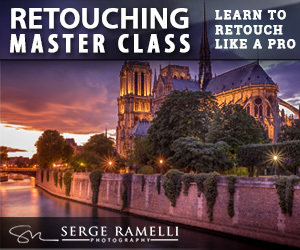 before printing, so any enhancements you want should be done in your photo editing program prior to printing. There is very basic photo editing in the online program: zoom, rotate, resize and transparency. 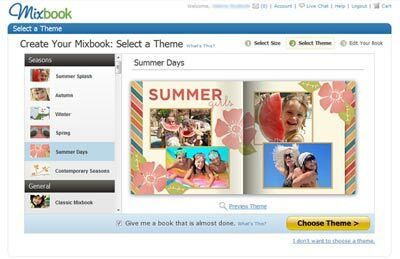 While there are many very good online photo book services, Mixbook offers something that no one else to date does: they have a collaborative scrapbook editor for creating photo books, which allows friends or groups of people to build a book together. Users can share their books on the web or have them printed. A user can start a book and then invite friends to upload their pictures and add them to the book and contribute to the design. The original creator still has control over the book and has final say. Another unique aspect is Mixbook's highly customizable features seldom offered by other photo book services. You can insert your own text boxes, change the size of photos and even the page layouts -- all online without downloading software. Since you use Mixbook's software online, it is compatible with both PCs and Macs. In addition to importing photos from your computer, you can also import from Facebook, Flickr, SmugMug, Photobucket, Picasa, and Yahoo Search. The only thing to keep in mind is if you use social sites like Facebook as photo sources, the resolution may not be as high (this is not an issue if you're importing from Smugmug). After registering for a free account, you choose your book size and general theme. Then you will be prompted to upload pictures. The AutoMix feature will instantly create your book using the uploaded photos in chronological order. If you don't like it, you can customize it as you like. Or, if you want full control from the get-go, just start dragging and dropping photos. 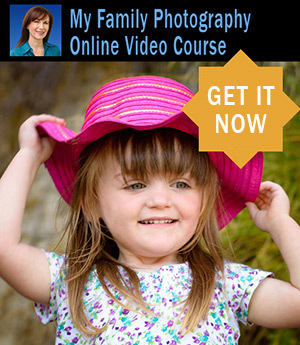 You can move, rotate, resize and zoom in on your photos to get the look you want. I appreciated the auto-save feature which prevents you from losing your work if your browser crashes. There is also an warning indicator to advise if an image has insufficient resolution to print well. I found the Mixbook online software to be very fast, there was no lag time in applying effects. Photo books are available in seven sizes: 12x12, 8.5x8.5, 8.5x11 portrait, 11x8.5 landscape, 14x11 coffee table landscape, 8x6 pocket and 6x4 mini. Books are printed on silk, semi-gloss 100 lb. paper that is both acid and lignin-free. They use Electroink 4.0 for printing, which is also acid-free. Softcover books are all perfect bound (with glue) and the hardcover books are saddle-stitched. Photo books can be from 20-99 pages. Mixbook is now offering hardcover lay flat photo books printed on super thick, premium paper. The pages lay completely flat and spreads are printed on a seamless, continuous sheet. Images will flow across two-page spreads with nothing lost in the gutter. The book pages are mounted on 12pt board, 65# Mohawk Navajo Brilliant white paper, and have a semi-gloss finish. The pages are thick and firm so they won't bend. Lay flat books are perfect for wedding albums and typically cost about 1/4 of what a photographer would charge.You can read more about Mixbook's hard lay flat pages in my Guide to Layflat Photo Books. Mixbook offers hardcovers and softcovers, hardcover with dust jacket and smooth premium leather covers with glossy laminated dust jackets and heavy black end sheets. The site uses heavy glossy stock for soft covers, while the hard covers are printed on a glossy laminate cover and adhered to a hard book case. The upgrade to leather costs an additional $19.99 and you can choose this option when you check out. I was impressed at how fast and easy it was to create a beautiful book. The ease and flexibility of the creation process is hard to beat. A Mixbook photobook review would not be complete without discussing quality as well. The finished product is coffee-table book quality, the colors are vivid and true-to-life, and the book covers and binding are sturdy. I was not disappointed. Mixbook just added a new photo wall calendar creator as well as photo cards and invitations and they are beautiful. Since this is a review of Mixbook photo books I won't get into all the details here, but there are 100's of customization options for photo card and calendar background, fonts, colors plus embellishments. I designed a baby shower invitation and I loved the array of options, and the price was less than Shutterfly. Click here to order personalized cards at Mixbook. Also recently added in 2015 are custom canvas prints. Read my detailed review on the wall print I made. Mixbook really shines with online sharing. Groups of people can create and share books together. Click on the Invite Contributors button then in the pop-up window, enter the email addresses of your friends. Then click on Send Invitation. This is a wonderful feature for sports teams, weddings, school projects, family reunions, etc. Should You Use Mixbook for Your Photo Books? The bottom line of my Mixbook photo book review is this: it rocks for versatility, customization, the array of choices and the easy photo book creation process. You can experiment with size and style all you want without being locked into something. The prices are on par with other major photo book services and there are frequent discounts available. Customer service is good via email, online chat and a blog. If there is an error on your order it is corrected promptly. 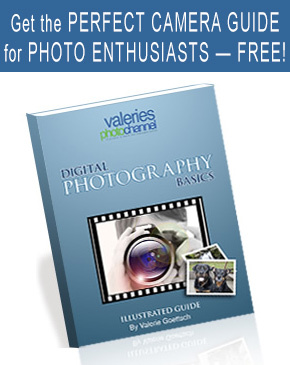 Click here for a comparison chart of photo book services.